A group known as the “ecomodernists,” which includes prominent environmental thinkers and development specialists such as Ted Nordhaus, Michael Shellenberger, Stewart Brand, David Keith,and Joyashree Roy has recently published a statement of principles called An Ecomodernist Manifesto (2015). Many of the authors of the Manifesto are connected to an influential think tank called The Breakthrough Institute. The Manifesto has already received strong criticism from an array of commentators, but none of these assessments has yet critiqued it from the perspective of “degrowth,” which is an approach that sees the transit ion to sustainability occurring through less environmentally impactful economic activities and a voluntary contraction of material throughput of the economy, to reduce humanity’s aggregate resource demands on the biosphere. From a degrowth perspective, technology is not viewed as a magical savior since many technologies actually accelerate environmental decline. 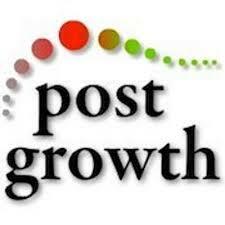 1.The Manifesto assumes that growth is a given. The ecological economists associated with degrowth assume that growth is not a given, and that population growth, inequalities, and the decline of cheap and abundant fossil fuels, which spurred the unprecedented growth of the global economy over the past century, means that the limits to growth are either being reached or will be reached in the very near future. The ecomodernists, by contrast, scoff at the idea of limits to growth, arguing that technology will always find a way to overcome those limits. 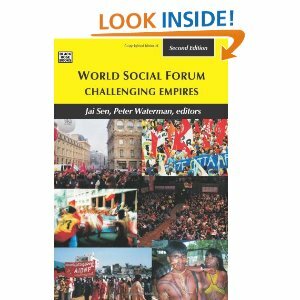 Graham Turner, Ugo Bardi, and numerous others have shown through empirical research that many of the modeled scenarios, and the fundamental thesis, of the Club of Rome remain as relevant as ever—that is, that the human endeavor is bumping up against natural limits. Richard Heinberg has shown that theproduction of conventional oil, natural gas, and heavy oil all peaked around 2010, despite, but also due to, continued global reliance on fossil fuels, which still make up over 80% of the world’s primary source of energy. The history of industrialism to date suggests that more growth will be coupled with increasing environmental costs. Thus the Manifesto does nothing to question and rethink the growth fetish that has preoccupied (and negatively impacted) the world since at least the 1940s. 2. Ecomodernists believe in the myth of decoupling growth from impacts. Long the fantasy of neoclassical economists, industrialists, and many futurists decoupling is the idea that one can have more of the “good stuff” (economic growth, increased population, more consumption) without any of the “bad stuff” (declines in energy stocks, environmental degradation, pollution, and so forth). Yet to date, there has been no known society that has simultaneously expanded economic activity while reducing absolute energy consumption and environmental impacts. In terms of carbon-dioxide emissions, the only periods over the past century in which global or regional emissions have actually declined absolutely have occurred during periods of decreased economic activity (usually a political crisis, war, or a recession). While it is true that many countries have reduced their carbon intensity in recent decades, meaning that they get more bang for their energy buck, efforts to decouple GDP-growth from environmental degradation through technological innovations and renewable energies have failed to achieve the absolute emissions reductions and reductions in aggregate environmental impacts necessary for a livable planet. In short, absolute decoupling hasnot occurred and has not solved our problems. 3.Is technology the problem or the solution? The ecomodernists cannot decide. The Manifesto is open and honest about the impact that modern technologies have had on the natural world, and especially emissions from fossil-fueled machines. However, as an act of desperation, the ecomodernists retreat to the belief that risky, costly, and underachieving technologies, such as nuclear power and carbon capture and storage, will solve the climate crisis and energize the sustainable society of the future. The reality, however, is that nuclear power provides less than 6 percent of the world’s energy needs while creating long-term storage nightmares and present-day environmental hazards. We cite Chernobyl and Fukushima as obvious examples. 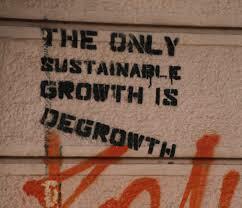 From the point of view of degrowth, more technology is not (necessarily) the solution. The energy crisis can be addressed only by reductions in throughput, economic activity, and consumption, which could then (and only then) create the possibility of powering global society via renewables. 5.The Manifesto has a narrow, inaccurate, and whitewashed view of both “modernity” and “development.” The Manifesto’s assertions rest on the belief that industrialized modernity has been an undivided blessing. 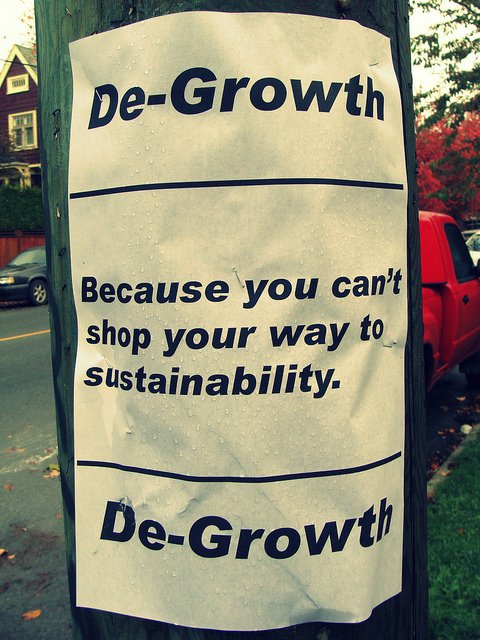 Those who support degrowth have a more complex view of history since the 18th century. 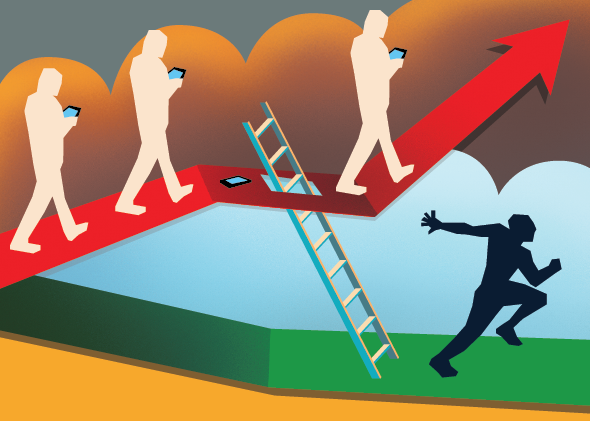 The “progress” of modernity has come at a heavy cost, and is more of a mixed blessing. The ecomodernists do not acknowledge that growth in greenhouse gas emissions parallels the development of industry. The core assumption is that “development” has only one true definition, and that is to “modernize” along the lines of the already industrialized countries. The hugely destructive development path of European and Neo-European societies is the measuring stick of Progress. 6.Ecomodernism is condescending toward pre-industrial, agrarian, non-industrialized societies, and the Global South.The issue of condescension is particularly stark in the Manifesto. There is not a word about religion, spirituality, or indigenous ecological practices, even though the authors throw a bone to the “cultural preferences” for development. Pre-industrial and indigenous peoples are seen as backwards and undeveloped. The authors go so far as to say that humans need to be “liberated” from agricultural labor, as though the production of food, and small-scale farming, were not inherent goods. There is no adoration for simple living, the small scale, or bottom up approaches to development. Proyecto en Transición: la Sociedad del Post-crecimiento – Stoll, G. y Tuschen, S.
A partir de hoy le estaremos compartiendo, como primicia las versiones en castellano y en inglés (del original en alemán) de siete de los artículos publicados en la revista WELT-SICHTEN, Dossier 3 (2015), en colaboración con MISEREOR. (www.welt-sichten.org – http://www.misereor.org) Iniciamos estas entregas con el artículo titulado PROYECTO EN TRANSICIÓN: LA SOCIEDAD DEL POST-CRECIMIENTO, escrito por los doctores Georg Stoll y Stefan Tuschen, en el contexto alemán y quienes son responsables del tema de Politica y Futuro Global de Misereor. En tiempos de poco desempleo y bajos precios de la gasolina querer reflexionar acerca del post-crecimiento es sospechoso. Pero la búsqueda de caminos que ayuden a liberar a la economía, la política y la misma civilización de su dependencia del crecimiento, demanda una mayor profundidad que la de superar solo los ciclos cambiantes de la coyuntura. En el horizonte se vislumbran nuevos modelos y enfoques de economía, pero en el camino hacia este horizonte hay que atender tareas pendientes, algunas de estas tareas son, por cierto gigantes. El producto más emblemático de la ideología del crecimiento: el automóvil. En el mes de enero, un periódico en primera plana anunciaba: “Automóviles alemanes, apreciados como nunca”. Audi, BMW, Porsche, Mercedes Benz, Volkswagen, todas estas marcas aumentaron sus ventas, ante todo en los EE. UU. y China, “a pesar de una desaceleración del crecimiento” como menciona el mismo artículo. En otro artículo se informa de la importancia nacional, pues tres de cada cuatro automóviles, producidos en Alemania son exportados. En el año 2014, el número de automóviles nuevos particulares matriculados en Alemania, superó solo ligeramente la cifra de un millón y se constituye en “un nuevo record negativo”. Si se suma a este dato los más de dos millones de automóviles nuevos industriales y de servicio matriculados durante el 2014 en Alemania, el balance termina en un crecimiento del tres por ciento. Los tipos de automóviles más comprados son el todo terreno, 540.000 ejemplares fueron vendidos el año pasado en Alemania (y en comparación se vendieron 15.000 ejemplares de automóviles eléctricos). Los carros todo terreno ya ocupan el 18 por ciento del mercado automovilístico. Los pronósticos prevén que en el año 2020 una tercera parte de los automóviles vendidos serán del tipo todo terreno. El periódico que revela estas informaciones menciona también el mensaje claro de uno de los directores de Volkswagen: “El mundo quiere carros todo terreno, entonces tendrá carros todo terreno”. En este panorama, el gobierno alemán hasta el año 2020 pretende haber disminuido las emisiones de carbono en un 40 por ciento respecto al nivel de emisiones del año 1990. El periódico indica que el ministerio de transporte y tráfico tiene planes para fomentar automóviles eléctricos y el concepto de carros compartidos (carsharing), por ejemplo mediante áreas de parqueo reservado para automóviles eléctricos y carros compartidos. Lo primero responde a peticiones por parte del gremio de la industria automotriz, lo segundo a demandas del ente matriz nacional del carsharing. En un lugar menos prominente del mismo artículo se menciona que tres cuartas partes de los clientes del carsharing, además de ser usuarios de este servicio, siguen manteniendo y usando su carro particular. Los consultores empresariales manejan el pronóstico de que los consumidores a mediano y largo plazo manejarán dos, en vez de un carro: el pequeño automóvil eléctrico para la ciudad y el carro todo terreno para los paseos familiares el fin de semana. Sin embargo, esta retro y prospectiva no estarían completas sin dar un vistazo al tema del empleo en la industria automotriz. Sus cifras de venta, según un artículo del periódico FAZ del 10 de enero (2015), son alentadoras, pues han permitido que 784.200 personas se empleen en esta rama con contratación fija, lo que significa un incremento de 23.400 puestos de trabajo en comparación al año anterior. No obstante, más adelante el periódico da a conocer las preocupaciones del gremio automotriz: el incremento en los costos energéticos, el aumento de sueldos y la introducción de los salarios mínimos y la jubilación a los 63 años de edad; todo esto, según el gremio “amenaza a Alemania como plaza de manufactura”. Escenarios parecidos se encuentran en la prensa dando cobertura a otras ramas de la industria y de los servicios. Desde el coro de estas voces se perciben algunas melodías que indican donde se encuentran los alemanes en torno a la percepción pública del crecimiento y el post-crecimiento. 1. Una economía con crecimiento sigue siendo el indicador de éxito más importante para la política y la industria, por lo menos para la opinión mediática. Los esfuerzos para incorporar indicadores complementarios y alternativos en el lenguaje de la política de las empresas, no han tenido efecto en la práctica. El crecimiento de ventas, ganancias y del PIB nacional no son temas de cuestionamientos o reinterpretaciones. Por momentos, al término crecimiento son añadidos algunos adjetivos como crecimiento inclusivo, crecimiento verde o (bastante engañoso por ser demasiado genérico) crecimiento sostenible. La pregunta que no surge en el mundo mediático es si el deseo omnipresente del crecimiento pudiese colisionar con otros intereses de la sociedad, como el cuidado del entorno o una mayor equidistancia entre pobres y ricos, el tratamiento de estos casos, se estigmatizan como temas de cultura y entretenimiento. 2. Existen instituciones e iniciativas políticas, dedicadas al análisis y a la discusión crítica de los impactos nocivos socio-ambientales, atribuibles a una economía (y a sus políticas) orientada únicamente hacia el crecimiento. Pero entre quienes tienen la responsabilidad de gobernar, no hay quien proponga desistir del crecimiento o buscar intencionalmente la contracción de ciertas ramas de la economía o del aparato productivo, en pro del beneficio de las futuras generaciones o de otros países y regiones. Al contrario, las propuestas políticas van por otro camino y por lo general prometen convertir el conflicto de intereses entre el crecimiento económico y la sostenibilidad ecológica en situación donde todos ganan (win win). Estas promesas dudosas, dependen del desafío de lograr desacoplar suficientemente el crecimiento económico de su consumo de recursos y del medio ambiente; por tanto, no es suficiente hablar de las posibilidades técnicas-teóricas, sino evidenciar alternativas en la dura realidad de la economía y de la sociedad. La Comisión Enquete para el “Crecimiento, Bienestar y Calidad de Vida” del Parlamento Federal Alemán, analizando la pregunta de un desacoplamiento adecuado en los años pasados, llegó a la conclusión de que no se ha logrado cumplir esta tarea. 3. La cifra de las personas económicamente activas con empleo, juega un papel clave en la percepción pública; y casi siempre es vista en estrecha relación con el crecimiento de la economía. Se utiliza la “plaza manufacturera Alemana” para presionar y lograr condiciones políticas amigables y ventajosas para las empresas. Pero estas condiciones no son garantía alguna para lograr más empleo y mejores remuneraciones; esta es la experiencia que tienen los sindicatos desde hace mucho tiempo. El panorama se torna aun más complejo si se toman en cuenta aspectos como la migración con fines laborales, condiciones precarias de empleo o el sector enorme del trabajo doméstico y del cuidado sin remuneración. La organización del trabajo y del empleo en una sociedad, sin la presión de crecimiento, es uno de los mayores desafíos de una economía post-crecimiento. 4. Sin consumo la producción es en vano. Por esta razón, para las empresas productoras suena la alarma cuando baja la aceptación de sus productos en el mercado – aun cuando se encuentran en un nivel record. Entonces empieza una búsqueda desesperada de crear nuevos productos para mercados saturados y buscar nuevos mercados para productos existentes. Esta relación productor-consumidor encuentra un fundamento sólido, pero instrumentalizado, cuando se habla de la “soberanía del consumidor” como máxima expresión de la libertad del individuo. “El mundo quiere automóviles todo terreno, entonces tendrá automóviles todo terreno”. Las buenas nuevas para los productores, y de igual manera para los consumidores, es que el universo de la potencial clientela global, se amplía enormemente a las clases medias emergentes, moviendo, entonces, el epicentro de este universo hacia los países con economías emergentes. La otra cara de la moneda son las consecuencias de este fenómeno al ecosistema global, cuando estos temas son tocados o cuestionados, se corre fácilmente el riesgo de una evasión bajo argumentos como la envidia por el crecimiento o el inicio de una dictadura ecológica. 5. Los enfoques alternativos o las iniciativas deben enfrentarse con esta constelación de empresas en expansión, con la actitud consumista de la gente y con la preocupación de perder sus empleos. Sin embargo, el número de personas que piensan de manera distinta crece y se extiende cada vez a más lugares, pero la fuerza de su potencial para lograr cambios es aún incierta. Surge el riesgo de que estas iniciativas logren visibilidad y adhesión fuera de la órbita de grupos afines y pioneros del cambio y terminen siendo absorbidas por la dinámica imperante del crecimiento: un claro ejemplo es la distorsión de la iniciativa de los automóviles compartidos (carsharing), que se constituye para muchos en una opción adicional al carro propio, más que en una alternativa al sistema. 6. En el centro de la atención pública de la discusión en torno al crecimiento económico, no aparecen las consecuencias ecológicas o medioambientales y sociales en sus dimensiones globales, sino la competitividad a nivel internacional y global. Las catástrofes y escándalos, tienen de vez en cuando miradas vergonzosas ante el lado oscuro de la maquinaria productiva globalizada, sin embargo desaparecen rápidamente en el olvido sin lograr cambios en las percepciones. En esta lógica, las poblaciones de otros países, tienen intereses en dos direcciones: como mano de obra barata y como consumidor potencial. Esta mirada reducida e incompleta genera una distancia, situación que lleva a aceptar ventajas comparativas, donde los costos del crecimiento han de ser asumidos por poblaciones en otras regiones y por las futuras generaciones; es más: las reglas de juego generan una presión en esta dirección. Pero las sociedades de países con temprana industrialización, como es el caso de Alemania, se dan cuenta de que ya no son sujetos privilegiados, sino que son o pueden convertirse en objetos y víctimas del proceso de la globalización. Al final de la crisis financiera de 2008, se hablaba de que los mercados financieros debían servir a la economía tangibles y existentes, y la economía servir a la humanidad. Lograr que las relaciones se encaucen nuevamente en esta lógica tan simple como obvia, es el objetivo principal del proyecto de transición hacia la sociedad del post-crecimiento. Alrededor de 20 jóvenes adultos, participantes del programa Weltwaerts (rumbo al mundo) que les ha permitido trabajar como voluntarios en Asia, África y América Latina, se encontraron en octubre de 2014 para un intercambio en Aachen – Alemania. Partiendo de sus experiencias vividas trabajaron la pregunta: ¿Qué consecuencias traería una sostenibilidad global para la vida en Alemania? El resultado de una espontánea lluvia de ideas eran palabras claves que dan una idea de los cambios necesarios: en la economía, la política al igual que en el consumo individual y en los valores de la sociedad. El Grupo Justicia Ambiental ofrece esta herramienta y otras disponibles como evidencia de los impactantes efectos negativos que ha nivel global, tiene la lógica del “Desarrollo”. Para acceder al atlas y demás recursos click sobre la imagen. 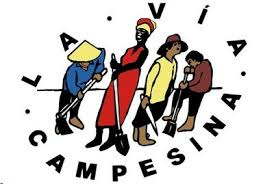 “La Vía Campesina (LVC) es un movimiento internacional [nacido en 1993] que agrupa a millones de campesinos y campesinas, pequeños y medianos productores, pueblos sin tierra, indígenas, migrantes y trabajadores agrícolas de todo el mundo. Defiende la agricultura sostenible a pequeña escala como un modo de promover la justicia social y la dignidad. Se opone firmemente a los agronegocios y las multinacionales que están destruyendo los pueblos y la naturaleza.